There is no place too far for REME Industrial Flooring Ltd. 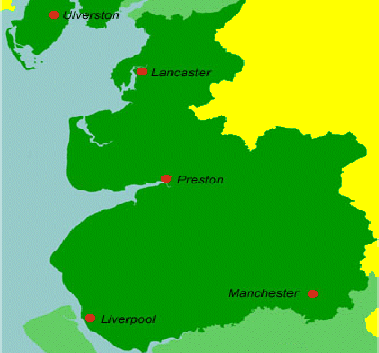 The Lancashire, England area is ideally located for our professional epoxy resin and polyurethane flooring system services. Whether you work in or own an establishment within Food Manufacture & Kitchens, Engineering, Warehousing, Hospitals, Aviation, Commercial, or any Offshore environment, do not hesitate to get in touch about our hard-wearing, attractive floor finishes, and flooring systems. Anti-slip, anti-static and enhanced chemical resistance properties are perfect for every single working environment around. Please refer to Our Services for a further understanding of the exact flooring projects that REME Industrial Flooring carries out on a regular basis.